This one comes from Wok Every Day, an incredibly versatile cookbook that has recipes for all styles and genres of cooking, all using your wok. 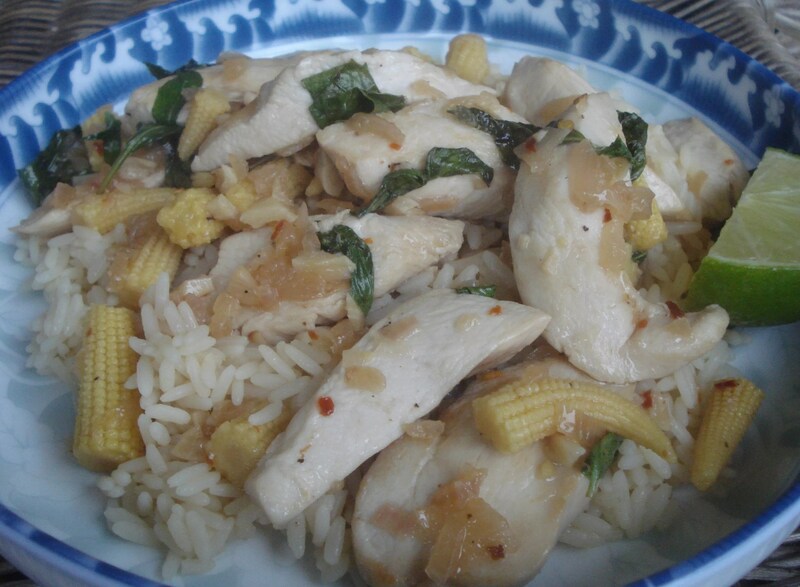 If you’ve never had the pleasure of cooking with Thai basil, it is fragrant and has pointed leaves. 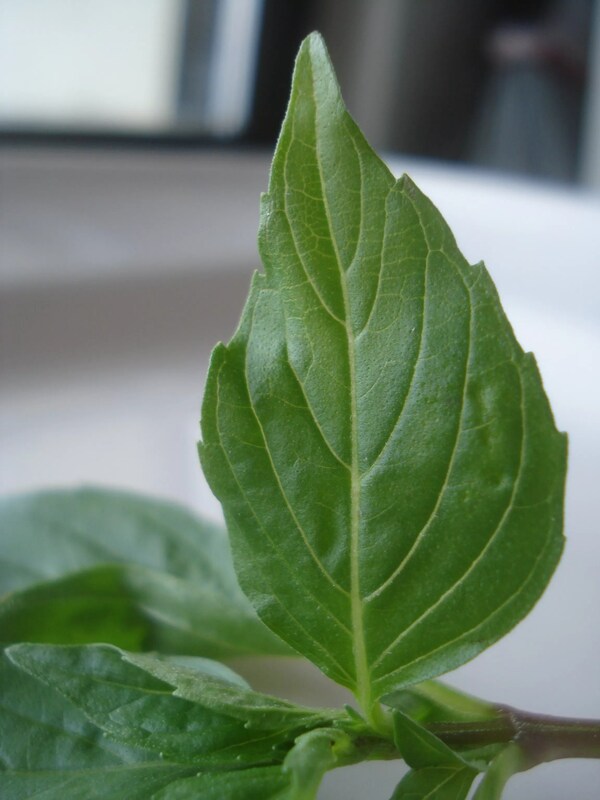 It has a stronger flavor than typical basil, and has a slight taste of licorice. I was able to find it at my local market. If you cannot seem to find it, substituting regular basil would be just fine. To be honest, I was a little skeptical of how much I would like this dish. All that fish sauce and lime — let’s just say I was a little sketched out. I thought it would be salty, fishy and overly acidic. But I was really pleasantly surprised. 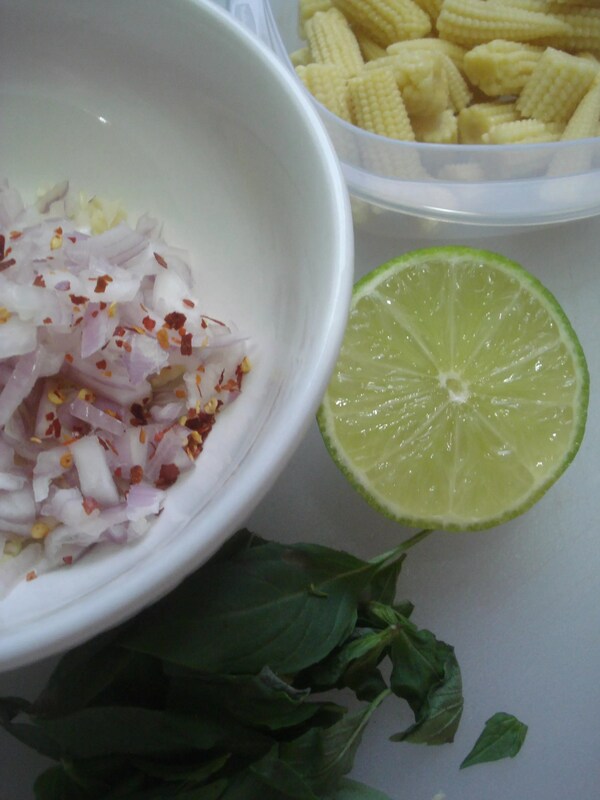 In every bite you get saltiness, spice, a freshness from the lime, and a deep herby flavor from the Thai basil. For being so simple, it tastes quite complex. Heat a wok over medium-high heat. Pour in the oil. Add the shallots, garlic and red pepper flakes and stir-fry about 1 minute, or until shallots are tender. 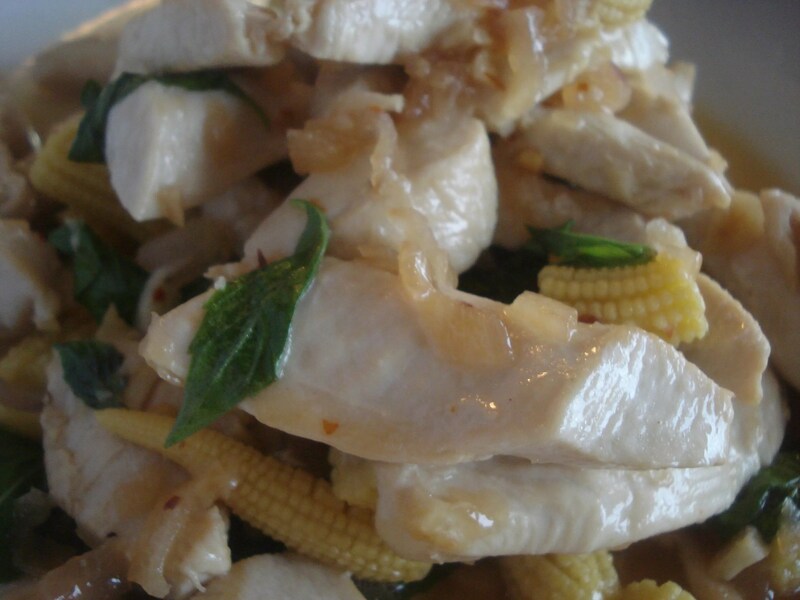 Add the chicken and stir-fry for 2 to 3 minutes or until just cooked through. Add the corn. Mix in the fish sauce, lime juice and basil. Season with salt and pepper to taste. Serve immediately, with white rice and a lime wedge. This looks delicious and the pictures are great!